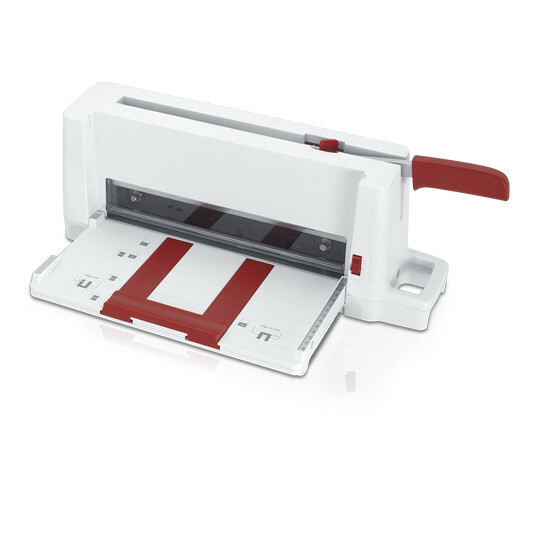 The IDEAL 4705 is a powerful manual guillotine designed for office use, but with the durability and quality to match many power guillotines. 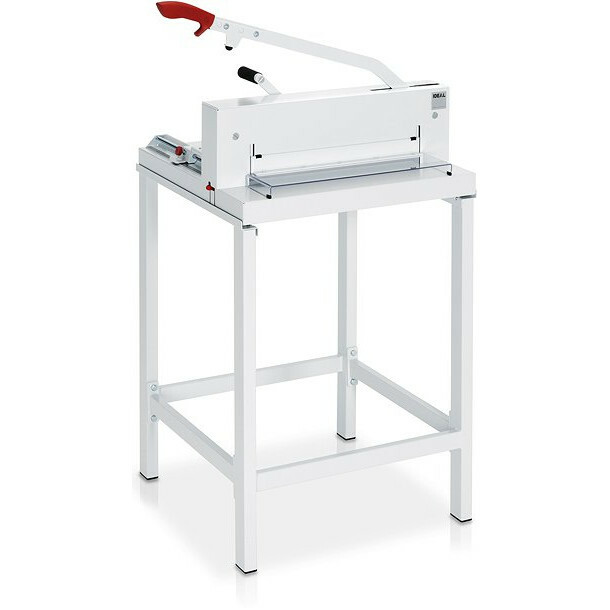 The IDEAL 4705 is a powerful manual guillotine designed for office use, but with the durability and quality to match many power guillotines. 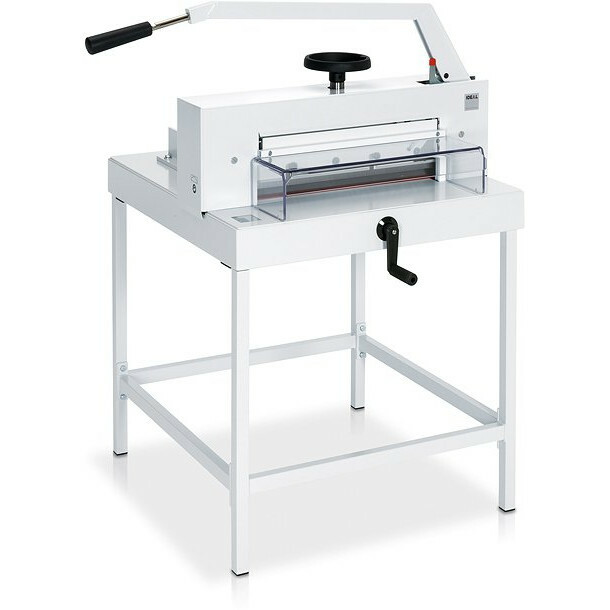 It incorporates the IDEAL Safety Cutting System, including transparent hoods over front and rear tables, a safety lock on the cutting lever and safe blade changeover. The blade is made of high quality Solingen steel to give resilience and long-life. Positioning paper is accurate and straightforward for cutting. The IDEAL 4705 has a maximum cutting height of 70mm with a maximum cutting length of 475mm. Cutting paper to size before printing will simplify paper stocking issues. Trimming brochures after print will produce better quality and highly professional finished products. The simple to use and reliable operation of the IDEAL 4705 is coupled with numerous safety features to ensure trouble-free running, while the 70mm cutting height brings efficiency and productivity to any cutting operations. All-metal construction produces a sturdy long-life guillotine. 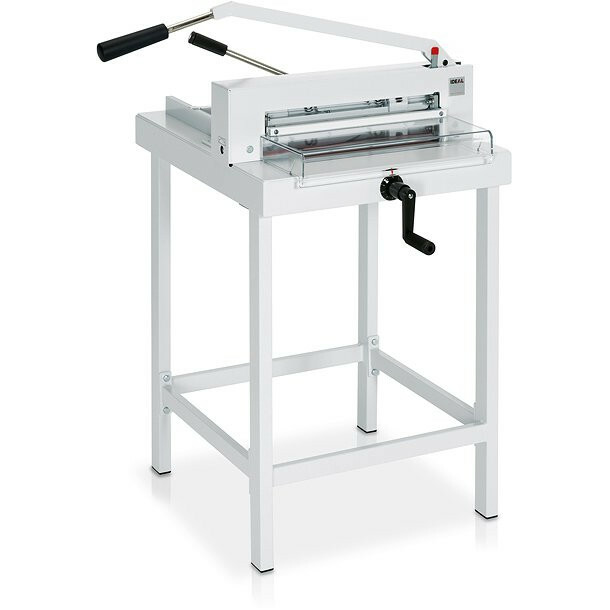 The safety features on the IDEAL 4705, including transparent safety guard which locks during cutting on the front table, transparent guard on the rear table, safety catch to lock the blade lever in its upper position, make the guillotine easy and reliable to operate. A calibrated hand crank with a large easy to read scale allows accurate position of the back gauge from the front table. The clamp is adjustable to give control over pressure on the stack to be cut. The knife change tool is designed with safety uppermost and the changeover can be carried out from the front of the machine. Likewise access to the cutting stick is from the outside of the machine. Adjustment to cutting depth is also from outside the machine. access to the cutting stick is from the outside of the machine. Stand: RRP £185 + VAT (please call 0151 336 2122 to add the stand to your order).